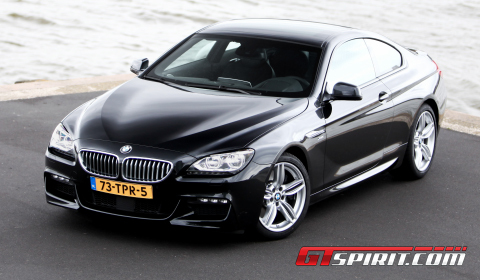 The history of the BMW 6-Series is one which goes back to the 1970’s when BMW launched the first 6-Series Coupe. 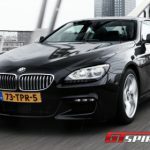 Now, three generations later, we were handed the keys to a black 2012 BMW 650i Coupe for a day of test drives through the city of Rotterdam, one of the biggest naval ports in the world. The correct setting for a drive in what BMW considers to be its top of the range model, expect for the M-Division fettled M6 of course. The 2+2 coupe invokes adjectives such as elegant, luxurious and high-tech when we attempt to describe the coming together of the interior, exterior and technical aspects. The 650i gets an all-new, aluminum-intensive structure based on that of BMW’s 5- and 7-Series sedans. It lends an improved structural rigidity and keeps weight down as much as possible. The body length is nearly three whole inches longer than before, while the width has also increased by 1.5 inches and it is half an inch lower. This offers more room for rear seat passengers. The 6-Series was the first BMW model to receive the full LED treatment including driving lights, indication lights, brake lights and rear taillights. The two-door design of the coupe is the basis for the forthcoming Gran Coupe, which will sport a four-door configuration. 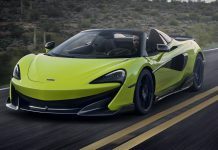 The front fascia has an aggressive shark-style design to it with its wide kidney grills, sharp-edged front lights and wide air intakes in the lower section of the bumper. At the rear, the new taillights and the rear trunk provide a more harmonious combination with the side and front profile with respect to its predecessor. 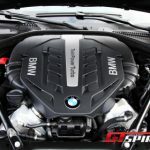 The mechanical machismo is provided by BMW’s 400hp twin-turbocharged 4.4 liter V8 engine tucked away at the front of the luxury coupe. 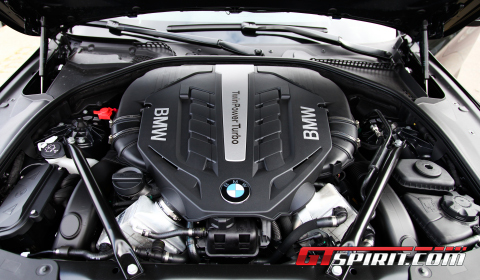 The engine is linked by a choice of eight-speed automatic or a six-speed manual, both are available at no extra cost. A sprint from standstill to 100km/h is done in a mere 5.0 seconds with the acceleration continuing up to a limited 250km/h. The forward acceleration of the 650i is combined with the responsiveness of the ZF 8HP70 eight-speed automatic, which shifts quickly, precisely and efficiently via the paddle shifters on the steering wheel or in automatic mode. A slight turbo lag is present when you floor the throttle, but it is not in any way worrying when you take the car for an everyday drive or a road trip across the continent. The handling and steering are not up to the standards you would expect from a BMW. 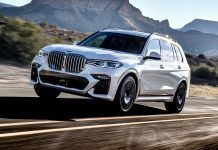 As discussed before in our road test with the 5-Series, the steering lacks that true direct feeling and does not offer the feedback you would expect from this top of the range model. Still, there are no major hurdles regarding this subject, because the 650i is not designed to be the ultimate cornering hero. This is mainly due to its size and weight. Customers opting for the luxury coupe, should focus on the brand new M6 and its direct steering featuring the latest Servotronic hydraulic system, specifically tuned for the M6. Inside the cabin, the driver has access to systems such as Surround View, Parking Assistant, BMW Night Vision with pedestrian recognition, Speed Limit Info, Lane Departure Warning System and Lane Change Warning System. The large 10.2 inch high-res display dominates the center console providing access to the multimedia systems. The main screen is flanked by the radio controls, the climate control, the iDrive controller and gear shift lever. Our test car was even fitted with a Bang & Olufsen high-end audio system with 16 speakers for a total of 1,200 watt sound and a dash-mounted tweeter. 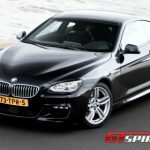 All these options are new to the 6-Series and accompanied by an interior design, which is more driver focused than its predecessor. The driving position is excellent and provides easy access to all systems. The seats offer excellent support and have extensions for people with longer legs. The seats at the back are large enough for two medium sized persons, but being a coupe, it doesn’t offer the ultimate levels of space. Those looking for more room at the back should instead take a look at the 550i sedan. 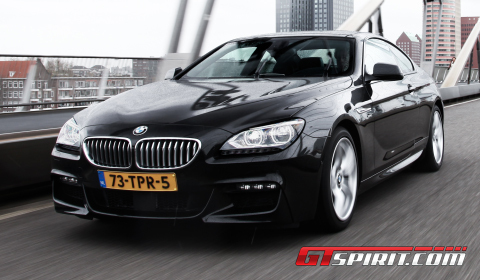 The 2012 BMW 650i Coupe is all that it should be. The improvements with respect to the engine, design and interior refinements make it a wonderful grand tourer, capable of transporting its passengers from A to B in the utmost comfort and refinement. The powerful turbocharged engine is a sheer pleasure for high speed autobahn cruising, while passengers are being treated with the best possible interior gadgetery and a complaint ride. This top of the line model within the 6-Series lineup is so composed at highway speeds and easy to drive on twisty country roads – despite its size and weight – that it conjured up fantasies of blasting along the autoroute to the annual holiday in St. Tropez with a beautiful girl in the passenger seat, a light breeze waving the trees and a wonderful blue sky overhead. Unlucky as we were, our day inside the 650i was rainy and situated in the largest port in Europe, Rotterdam. What a contrast!